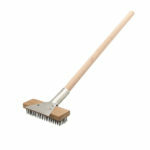 Long handled brush for reaching into and sweeping out ovens. Made with high grade carbon steel wires which can withstand heat and ensure all debris is swept out. 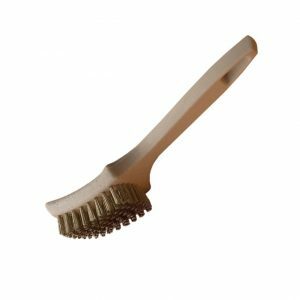 Bristles will not burn up or break off with extended cleaning. 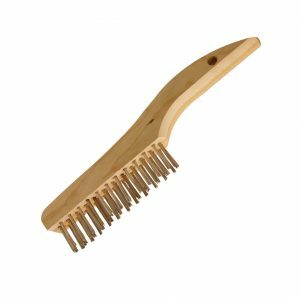 Made in Canada with North American drawn wire and a Canadian hardwood handle. 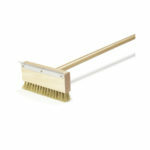 Long handled brush for reaching into and sweeping out ovens. 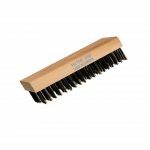 Felton’s Steel Wire Oven Brush is made with high grade carbon steel wires which can withstand heat and ensure all debris is swept out. 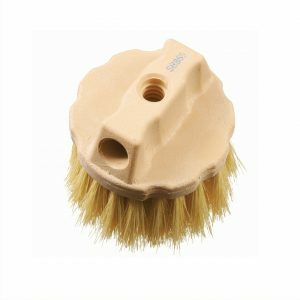 This heavy-duty pizza brush is excellent for any oven type. 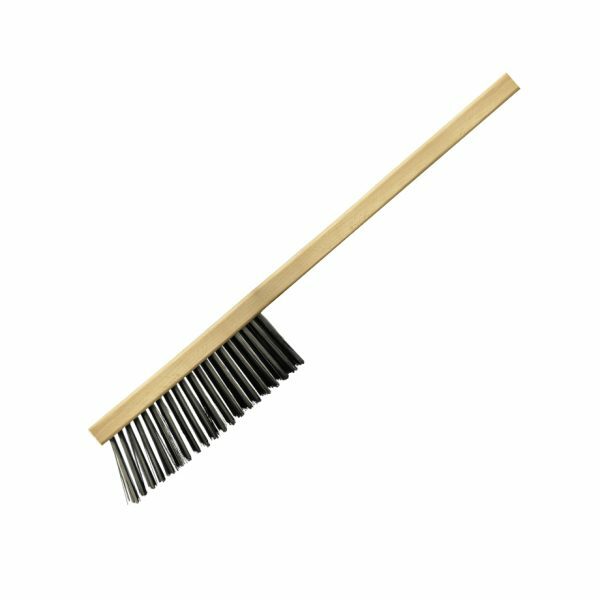 Round steel bristles are perfect for breaking up baked on food debris. 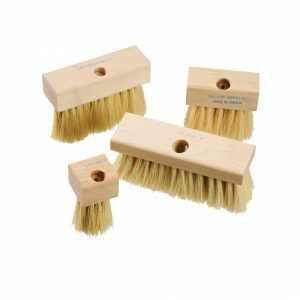 The bristles will not burn up or break off with extended cleaning. The long-reaching 39″ handle allows for cleaning into deep ovens without needing to reach into the oven. Felton’s Steel Wire Oven Brush is made in Canada with North American drawn wire.